Home How To How To Install The Google Pixels Camera Packed Features On Any Android Phone. Google has made a remarkable name for themselves with the latest Pixel and pixel L smartphones they launched this year. The Pixel smartphones is packed with tremendous software features that every android users are craving for. The Google Pixel camera was considered to be the highest rated camera ever with exclusive features been packed in it. Although with the help of a flashable zip, only users of the Nexus 6P and Nexus 5X were able to take advantage and grab the Google pixel camera application. Other android users have been left behind and that isn’t fair at all and waiting tends to get everything boring. Well the impossible has been made possible. A great developer was able to repatch the camera feature into a normal APK that’s capable of installation on your android phone. For you to be able to install the Google pix camera app, you need to have the latest new android phones running of android 7.0 nougat in other for this app to work. How To Install The Google Pixel Camera App Features. 1.) First and foremost download the Google Pixel camera app from the above given link and transfer it to your device SD card or internal storage. 2.) Now head over to settings on your phone, scroll down and locate Settings then tap on it. Then tick the Unknown Sources to be able to install the app. 3.) Locate the ported Google camera app you downloaded earlier using your file manager and Install. You will have to grant a few permission during the installation process so make sure you click Allow when prompted. 4.) Once you’re done, you will be greeted with the Google pixel new camera app interface just like the original Google pixel smartphone. Google Pixel Ported Camera App Feature. The ported Google Pixel camera apps comes with great Features just like the original camera app on the official pixel smartphone. One of the notable features is the ability to set the focus point contingently. Just tap anywhere on the screen to make the camera focus on targeted objects. Also there’s an icon next to the flash button that automatically add grid lines to your camera view finder when tapped. As you can see its simple just like installing any normal Apk. 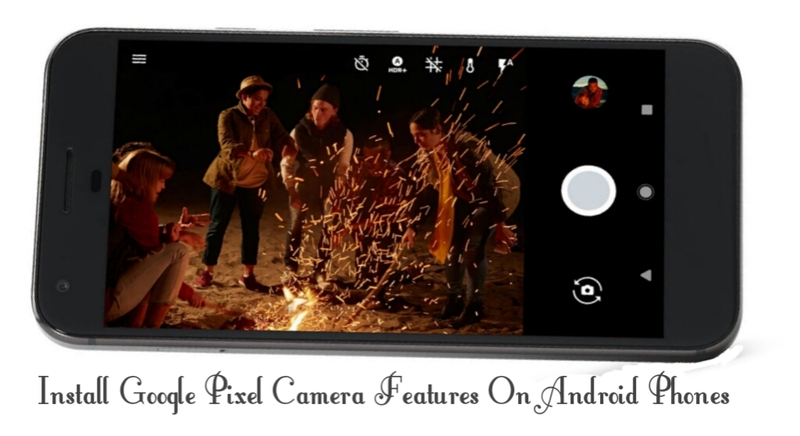 This is the safest method to get the Google Pixels camera features running on your android phone, hence you don’t have to bother changing your current device for the pixel smartphone because of its notable camera feature.